Home / Blog / Magento / Is Magento The Best Ecommerce Platform For Me? Is Magento The Best Ecommerce Platform For Me. The number one question we get from folks… What e-commerce platform should I use? The second question after our recommendation is why? Today we will break down Magento. To answer that question, at Absolute Web Services, we typically start with a blank canvas meeting to understand your needs. However, for the purpose of this article, we are going to review Shopify, pros, and cons. Additionally, we will discuss WooCommerce in the upcoming weeks, concluding with a comparison article. We are hoping this lets you decide which platform coincides best with your objectives. Let’s start off by offering our humble opinion, Magento is the most scalable eCommerce platform in the market. 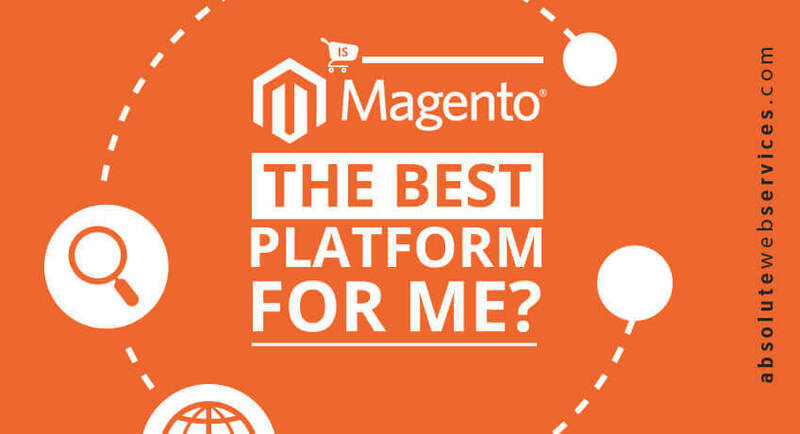 If you are looking for a robust platform with enterprise level capabilities, including maximum product support, Magento could be the platform for you! Have a go-to-market strategy and have anticipated 3-4 months of development. Magento is not the easiest eCommerce platform to customize, but Magento Certified Developers like Absolute Web Services can help you build your store. If you are convinced Magento is the right eCommerce platform for you, then give us a shout, and we would be more than happy to talk about your project. For starters, the world’s biggest brands love Magento for its flexibility, because today’s consumers and their buying patterns are changing by the minute. Magento—open source and agile—can help you adapt and thrive. Magento has a global ecosystem of 150,000 developers and a network of 300+ highly-trained solution partners, like Absolute Web Services. Magento has a lot to offer, but also adds tasks that a hosted solution like Shopify does not. Every component of Magento can be customized, but you will more than likely require the assistance of a certified developer, like Absolute Web Services. Magento eCommerce platform opens a universe of opportunities for store owners looking to grow their business online. Magento is very flexible, open-source, and empowers store-owners to stand out. When reviewing Shopify, we spoke about the many available templates for out of the gate selling. Magento also has many templates available online, but the greatness of Magento is how accessible it is for customization. Magento offers 100% customizable store front incorporating a robust content management system to create and easily edit pages. Admittedly, content management is not the driving force behind Magento’s success; lifestyle selling is about buying into a brand and not a product, and Magento has made significant strides to give store owners the ability to manage that story. For all of these development strides, Magento still excels more in product, store, and catalog management. If content is the cornerstone of your commerce strategy, Word Press with WooCommerce would be your go-to platform. Magento’s advanced features for managing product/catalog are unrivaled. – Add Facebook, Twitter, and email links for sharing products. 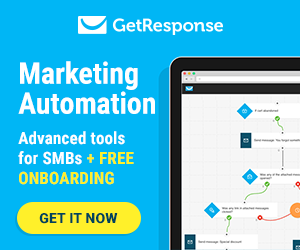 Are these features available with other e-commerce platforms? Yes, but they will come via plug-ins. Magento offers the essential storefront features. If you are someone that requires these features, Magento is perfect for you. If Amazon sits alone in the Mount Rushmore of online stores, Magento is the platform that natively offers the most amount of features to replicate an Amazon-like experience. The out-of-the-box features are remarkable, but you will need a Magento Certified partner, like Absolute Web Services, to beautify your Magento. For this reason, we are giving Magento 8/10 when it comes to store front features. When it comes to a custom shopping experience, Magento is the most superior, customizeable platform available. As you can see, Magento offers a wealth of features that are reserved for a series of plug-ins with both Shopify and Magento. Magento’s shopping cart offering is the most complete of any e-commerce platform. Magento, unapologetically, is robust and if you need all the bells and whistles, you will find comfort in the offering. If not? You might find the Magento universe too big and even use adjectives like “bloated” to describe it. We find the native shopping cart features to be necessary for growing stores offering incredible support for your growth. That is why when it comes to shopping cart features we give Magento 10/10. When it comes to online store management, Magento sets itself apart. Magento was created with growing companies in mind. What if we have several products that require their own, independent presence? Magento answers this by allowing you to manage multiple stores in one administrative panel allowing growing companies that have diversified their offering with several brands to manage them efficiently. Magento also has a thriving community behind it. You can find thousands of extensions if you need more than what is available natively. You can also work with certified developers like Absolute Web Services, to create custom extensions. When it comes to online store management the ability to manage multiple stores, role/group shopping experience perimeters and country/language support make Magento a leader. 10/10. Magento was built to sell products with a clear understanding that a platform built on conversion-aiding + awareness building features was the only way to sell online. 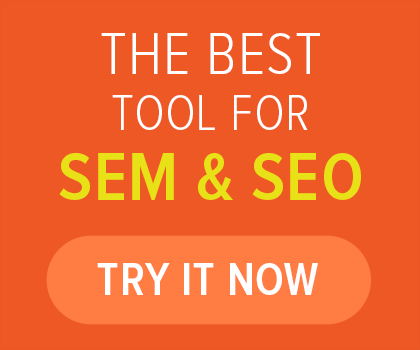 Magento excels in Marketing & SEO. Magento took a page out of the Word Press universe with native SEO support. Much like WordPress, Magento is a highly SEO-friendly content management system. It comes preloaded with various SEO features such as search engine friendly URLs, site maps, layered navigation, URL rewrites, meta tags, descriptions, and slugs. Now that we listed the technical SEO values Magento has, it’s important we discuss how they have added marketing, promotions and conversion features. Magento features a rich related product, up-sell and cross-sell feature that is certain to increase your store’s average ticket. Magento offers tremendous support for coupon and promo codes with tracking and offline code support. Magento does an excellent job, not just giving you the technical tools to master your on-site SEO but also the commercial tools to support any marketing campaign. With big data spearheading most commerce decisions understanding your abandoned cart rate and trying to recover lost sales is important. Persistent shopping cart truly is a game-changing feature increasing your ability to convert lost customers. Again, like most things Magento, activating and correctly using these features may require the assistance of a Certified Magento Partner like Absolute Web Services. As you can see, the recurring theme, Magento is a race car that you need to be a great driver to get the most out of or invest in having drivers help you get the most out of it. Unlike Shopify that offers you a hosted solution, but a more limited offering, Magento gives you a robust offering that requires expertise to maximize. We will get into intangibles. These are where other platforms, like Shopify, excel in. Let’s how Magento does. Web Hosting. Magento is NOT a hosted platform. While Shopify offers 24/7 support with a technical backbone to support your growing store in a scalable manner, Magento requires you find that component yourself. Companies like RackSpace offer Magento specific commerce hosting. Solutions from companies like RackSpace are very reliable, scalable, and secure. Pricing for Magento hosting typically starts at 80/100 dollars a month. Not much different than Shopify’s monthly subscription rate. Magento Community version is free and available for download at Magento. Editores Note: There is an enterprise version. However, we are not reviewing it at this time, but we promise to do so at a future date. Hosting will start at around 80 dollars. As your store grows, your hosting requirements will also grow. Lastly is the cost of development. Certified Magento Developers, like Absolute Web Services, have dedicated a significant amount of time mastering Magento. The cost of development is higher than for Shopify and WooCommerce. We give Magento a 41/50 that = 82%. 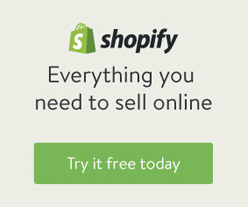 If you are a new store owner, Shopify <shopify link> is a complete turn-key solution right for you. If you are an existing business, growing online store looking to migrate platforms, are comfortable with a non-hosted solution, and the cost of customization being slightly more expensive because you need the incredible wealth of essential features Magento offers, then Magento is 50/50 for you! Magento is 100% customizable with a content management system for easy front-end editing. Also, Magento has incredible conversion aiding catalog and product features. Magento gives you complete control to respond to the needs of your growing business. Have new brands requiring independent web presence? Perfect, you can manage all stores from your administrative panel. This high level of efficiency and control makes Magento the ideal platform for store owners requiring advanced store management features. Magento offers a wealth of technical and SEO features but what set’s it apart are the commerce features. The level of promotional/coupon/tracking features makes supporting all types of campaigns possible. Magento is not hosted. If this is not a deciding factor for you, then you could instantly increase this rating. Magento is also the least turn-key and because of all the advanced features has the largest learning curve. Magento Community version is free and downloadable at Magento. So why not 10/10? Magento is a robust platform and to become a Certified Developer like Absolute Web Services requires high-level developers. The cost of development is higher than Shopify and WooCommerce. We highly recommend Magento to current store owners that need more power, business owners with an established commerce strategy finally building an online presence and those that will require a scalable and powerful platform.